Who doesn't enjoy a game of Frisbee whether it be with friends or just your dog in the park? Sometimes after a few hours of play though your Frisbee can become unreasonably slick and hard to throw. 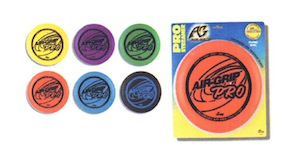 These no slip grip Frisbee are easily to catch and toss without the unfortunate slippage. Price per disc.